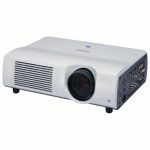 The stylish and highly versatile VPL-FX52 Installation Projector is perfect for showcasing presentations, video and images in a diverse range of settings such as auditoriums, museums, lecture theatres and conference halls. 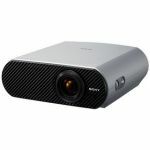 With 6000 ANSI lumens brightness, Sony 3LCD Technology and a 300W lamp, the VPL-FX52 produces high-impact images with superb colour reproduction. The VPL-FX52 has a wide range of features making it the ideal solution for mid to large venues. The ability to accept a wide variety of signals, up to HDTV, enables presentations to be played from a range of sources. 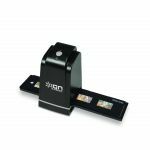 Images can easily be adjusted to the desired setting with a remote power, zoom, focus and picture shift function. For facilities such as museums and conference halls, the direct power on function allows the standby mode to be skipped so the VPL-FX52 is activated immediately, and, as most projectors are installed in public venues, they also have a password-authentication system to restrict unauthorised usage. 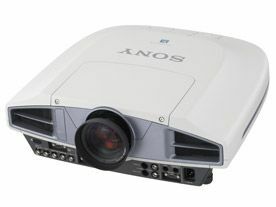 The Magic of Sony 3LCD Technology The Sony VPL-FX52 adopts a 3-LCD system using three 1.3-inch LCD Panels, also known as high-temperature polysillicon or HTPS. A 3-LCD projector divides white light emitted from the lamp into three basic colors of Red, Green and Blue and passes each colour through its own separate LCD (HTPS) panel. With a 3-LCD system light efficiency is excellent as each colour is projected onto the screen at the same time. This provides a bright image and does not cause color separation to the final image. Images produced on a 3-LCD system are bright, create a more natural colour and is gentle on the eyes. -Direct Power On/Off.With this function, standby mode can be skipped over to activate the VPL-FX52 immediately. And thanks to a cooling fan with driver circuitry that works even after the power has been cut, the projector can be turned on or off using a circuit-breaker switch on a switchboard. -Stacking Capability.When applications require double the light output, the VPL-FX52 can be twin stacked**. Pictures from the two projectors are then matched using the Picture Shift function on each unit. * * The optional VPLL-FM21 projection lens cannot be used when the VPL-FX52 is stacked. -Digital Zoom.The 4-times Digital Zoom, allows the user to zoom in on one section of the presentation for a closer look, helping to convey a message more clearly. -Smart Auto Pixel Alignment.Smart Auto Pixel Alignment automatically adjusts the dot phase, image size and image shift to the optimal settings according to the input signal - without the user even pressing a button.